Gorgeous card. Thanks for the tutorial! To get in the mood for Christmas? …Christmas music will get me there…especially the old favorites – White Christmas and The Christmas Song (Chestnuts roasting in an open fire). But I’m not ready yet…Summer just arrived in Oregon! So many wonderful options. Very cute. 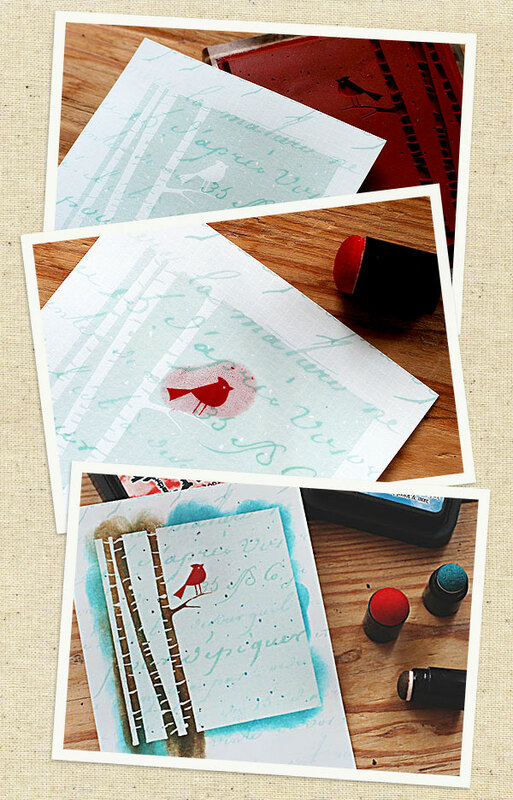 I love this card and how you used the stamp! 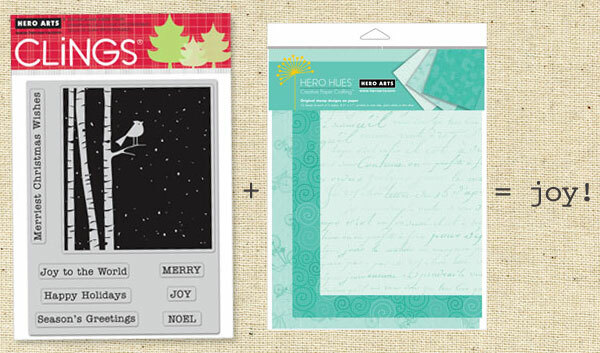 I can hardly wait to start making Christmas cards! Really love the colors you used on the card. So cool and soothing. With the weather being so hot, will be using cool colors to keep me thinking of winter holidays. Love the kissing technique. Will use it on Christmas Cards. 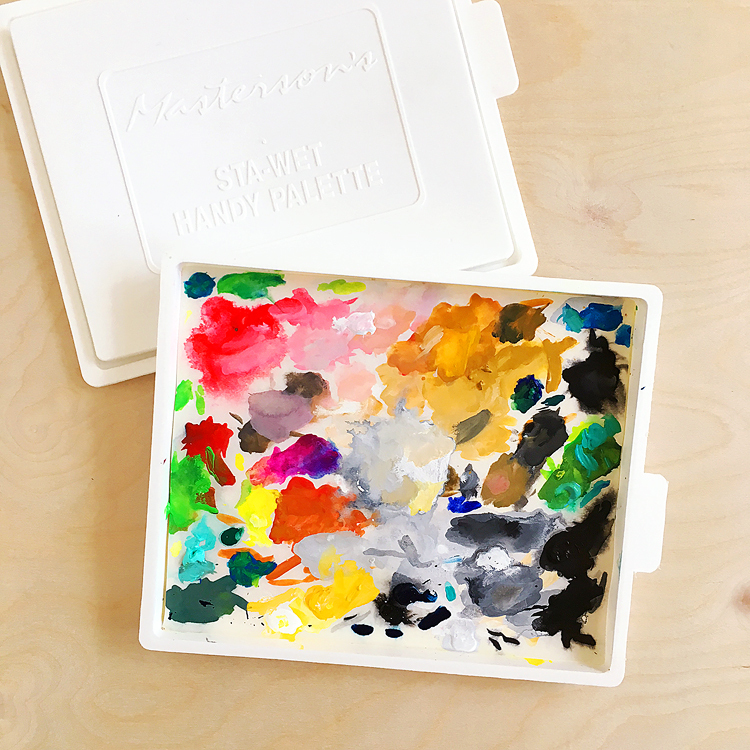 Cheerful, colorful card. I’m a big fan of embossing and loved the way you used it here. A nice idea using the kissing technique to add a nice touch to the card. pretty cute, a great idea. LOVE this technique. 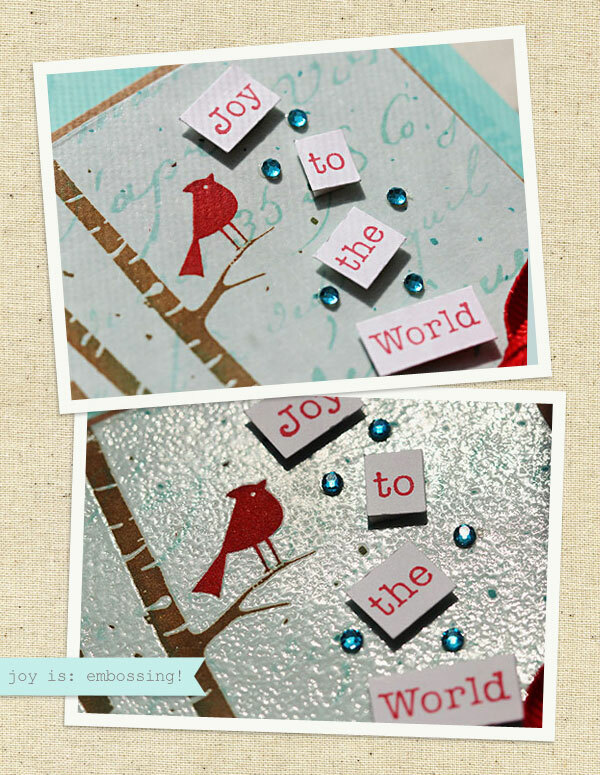 Embossing is so cool…Your card is just fabulous! The red really makes the card stand out. Thanks for sharing. 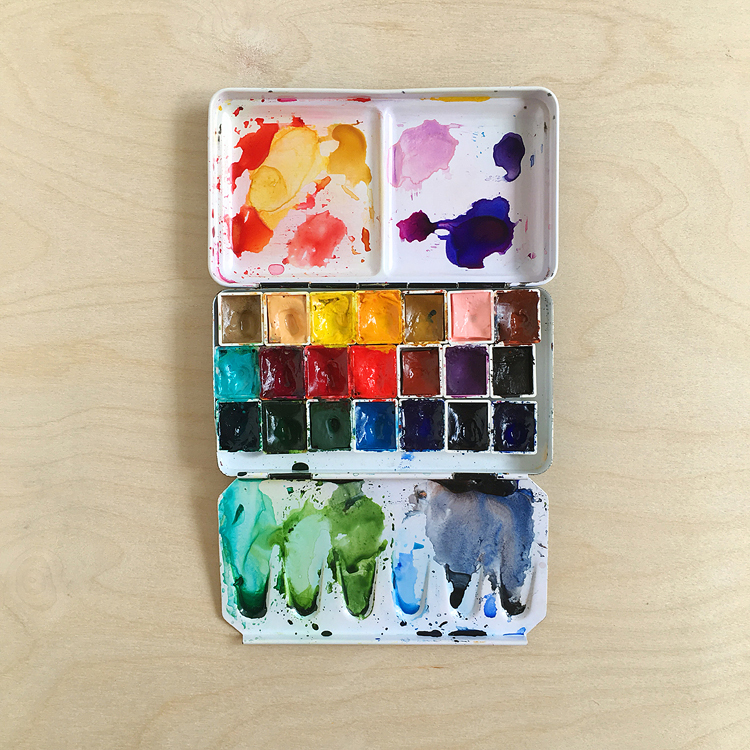 Hi there Lisa, I ventured onto your blog via way of the Hero Arts bloghop! 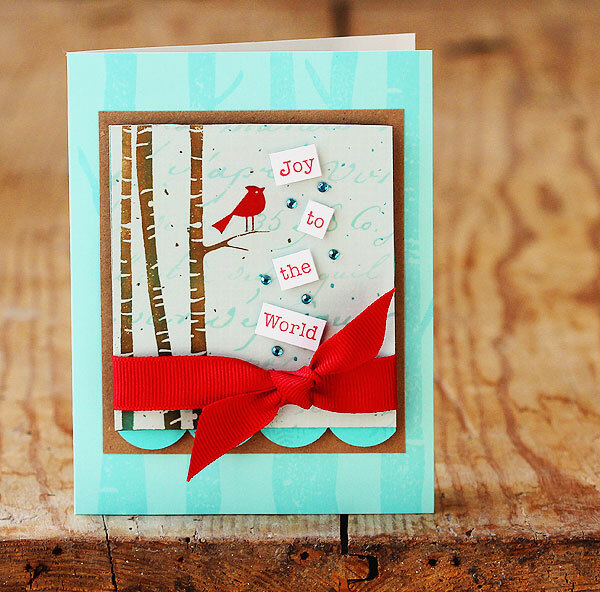 You card is fantastically adorable – I think that red birdie is the cutest little thing! I’ve already pictured some fun things my kids will be able to do with a stamp like this one – they love doing arts and crafts with me while I do my thing! I had a giggle about your pretending its Christmas in the heat – because I’m from Australia, it’s always hot over Christmas!!! I get so excited when it’s coming up to Christmas – beginning of December the Christmas Carols go on, the Tree goes up, and my favourite thing to do to get ready for Christmas is to design the cards that I’m going to give to my family and friends! Mind you – I absolutely LOVE shopping for Christmas during the month of July – it’s cold here, I can pretend I’m going to have a white Christmas, and best of all I can have all of my shopping done well and truly before the Christmas rush. This card is so AMAZING! I love it so much, I pinned it on Pintrest. Beautiful! And thank you so much for the step by step technique! I would have never thought to use the daubbers! Christiana recently posted..100 Follower Appreciation Giveaway! It truly is a joyful card. Oh my…such a beautiful technique. I love it! Oh, how I need that stamp now!